The Johannesburg Wildlife Veterinary Hospital revealed that one of their pangolins is pregnant! Pangolins are an endangered species in South Africa. The ant eaters are hunted for their scales and skin, which are used to make leather boots and bags, as well as their meat. The Johannesburg Wildlife Veterinary Hospital shared a short video of one pangolin's ultrasound, thereby announcing that one more of the precious animals will soon be born into the world. The hospital happily announced the pangolin's pregnancy, saying: "This is fantastic news for this endangered species. In this video, the fetal heartbeat is clearly audible and so special to hear." 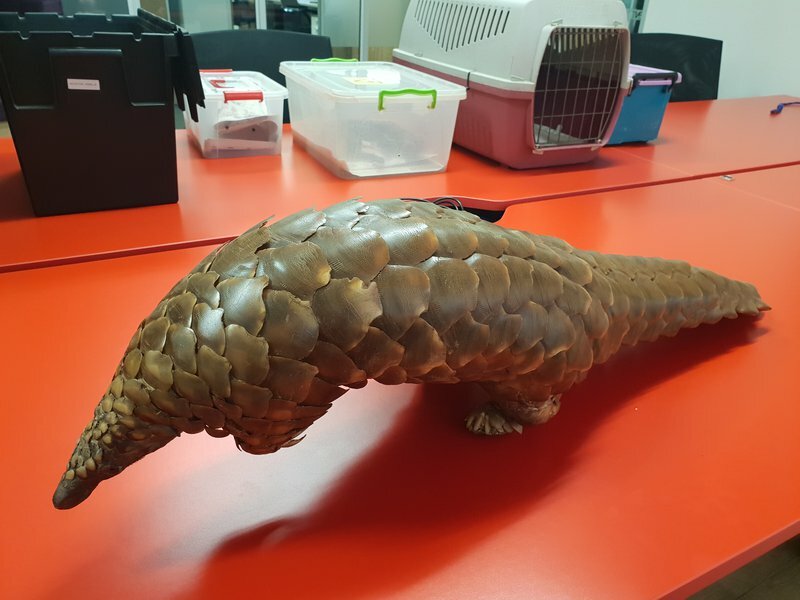 The hospital is doing everything it can to ensure that the pangolin and her baby are kept safe.